My weekends are almost never planned and relatively busy. I've recently taken up tennis lessons on Saturdays and so I start the day pretty early, roughly 6AM, and from there it's usually errands and all the things that I didn't get to do during the week. Since I'm always on the move, I rarely switch bags so whatever goes with me to Tennis will very likely take me throughout the day unless I have a very special engagement that requires more effort. So, as you'd imagine, I've been living in a canvas bag! As I mentioned before, I can go from athletic girl to errand girl or casualita and carry the same bag. Because they're so minimalist, they go with just about anything. 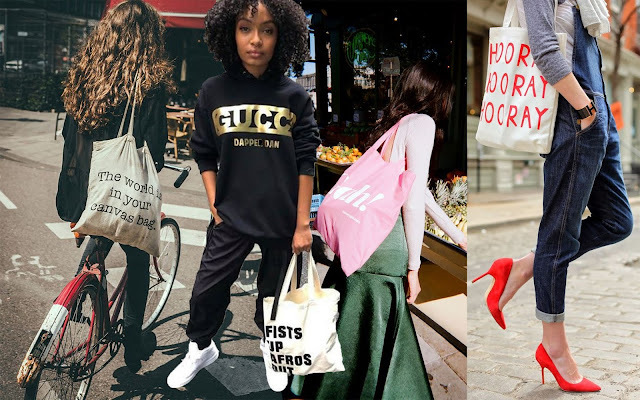 While traveling in Europe I realized they were regularly brandished by hipsters and art school kids who we all know are the unintentional tastemakers for a lot of street style/ urban trends. I very likely developed my liking for them then since I was blown away by how Parisians in particular made cloth bags look so chic. I don't know about you guys but when I'm leaving my house, I like to carry as much of it along with me as possible. I know it's the most impractical thing, but you gotta be prepared for whatever the day throws at yah! My essentials are a little extensive so I've never been into small bags, they make me feel anxious as if I'm leaving something important behind. Plus, if I have a bag I can wear just about everywhere, it only makes sense it can carry everything too. Most canvas bags are very inexpensive. Of course it also depends on your taste and which brands you go after but across the spectrum they are 9/10 some of the cheapest bag options available. Since the material is cloth-like, you can wear it continuously until it becomes dirty, at which point it can be washed and get back that brand new feel again. I've seen some pretty worn canvas totes and, maybe this is just me, but that's really when I like them most. In my head they have more personality. The point is, you'll never lose with a canvas bag. They'll last forever. 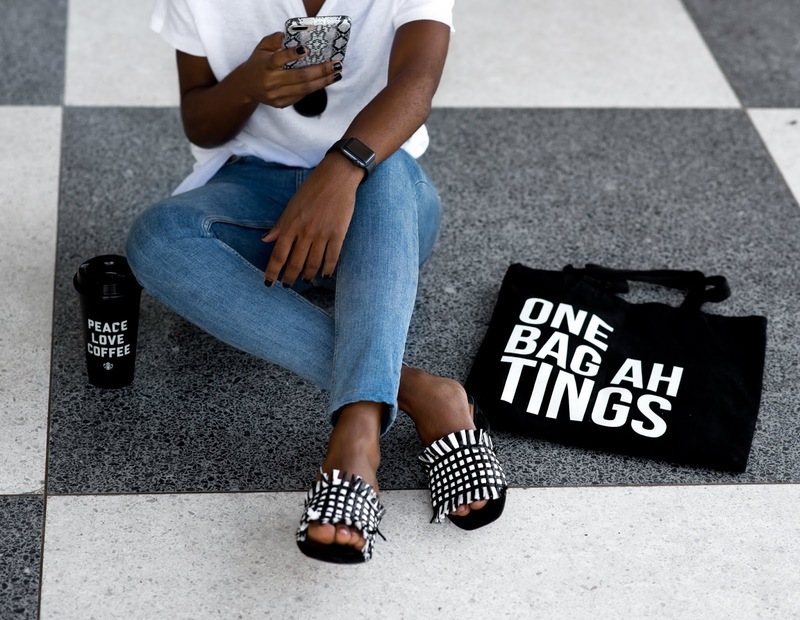 While they are minimalistic by nature, based on design, canvas bags can carry quite a bit of character. People have used them as social symbols to bring awareness to a cause while others have used it to simply represent who they are or what they identify with. Since I love creative tote designs, I have partnered with TCP Tings to give one of my awesome readers a chance to WIN one of their fabulous bags. 1. You must be following @SWANKXTAR on Instagram. 3. 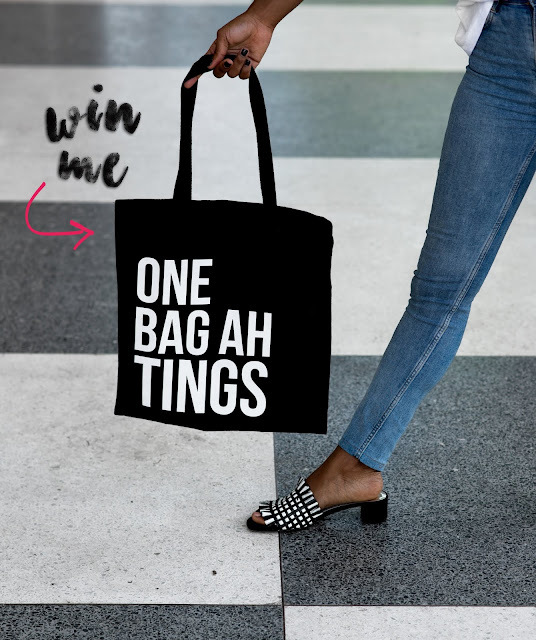 Tag at least 1 friend that you think would like this bag. The winner will be chosen by the TCP team and announced on Monday, November 26. And yes, international entries are welcome!